If you want to know whether you should “cut” (focus on losing fat) or “bulk” (focus on gaining muscle), then you want to read this article. If you’re a man with more than 15% body fat or a woman with more than 25% body fat, then you should cut. If you’re a man with 10% body fat or less or a woman with 20% body fat or less, then you should bulk. The most reliable way to build your best body ever is to alternate between proper cycles of cutting and bulking. You probably know what kind of physique you want, but you’re not quite sure how to best get there. My guess is you want to be lean, strong, and muscular, and you’re struggling to understand the next immediate steps. Should you “bulk” and focus on gaining muscle as quickly as possible, or should you “cut” and strip some fat and then bulk? Well, both bulking and cutting have pros and cons. Bulking adds both lean mass (yay) and body fat (boo), and cutting unveils your abs (hooray) but stunts muscle growth (hiss). Furthermore, many people discover that they look a lot smaller after a successful cut than they anticipated. Maybe, then, they should just bulk for as long it takes to get the size they want and then go on a long cut to show it off? Well, this is the dilemma that makes for a fitness purgatory of sorts where you don’t really commit to one strategy or another and thus stagnate in terms of progress. Should you cut or bulk? As you’ll find out, the answer depends mostly on your current body fat percentage. The long story short is if your body fat percentage is too high, your number-one priority should be getting lean, not gaining muscle, and if it’s relatively low, then you should focus on gaining muscle, not getting even leaner. And by the end of this article, you’ll understand why. You’ll know when you should cut, when you should bulk, and how to get the best possible results from both. 1. You’ll be generally happier with how you look. 2. You’ll lose more fat and less muscle when you cut. 3. You’ll gain more muscle and less fat when you bulk. 3. Don’t overdo it on the overeating. If you’re currently unhappy with your body fat percentage and you really just want to get lean before worrying about adding significant amounts of muscle to your frame, then you want to cut. There’s no reason to get fatter (which will happen when you bulk properly–more on that soon) just to gain some muscle if that’s not your primary concern at this point. Do what’s going to keep you motivated. Similarly, if you’re currently very overweight, then you want to cut. This is the healthiest and smartest choice, even if your long-term goal involves gaining a fair amount of muscle. 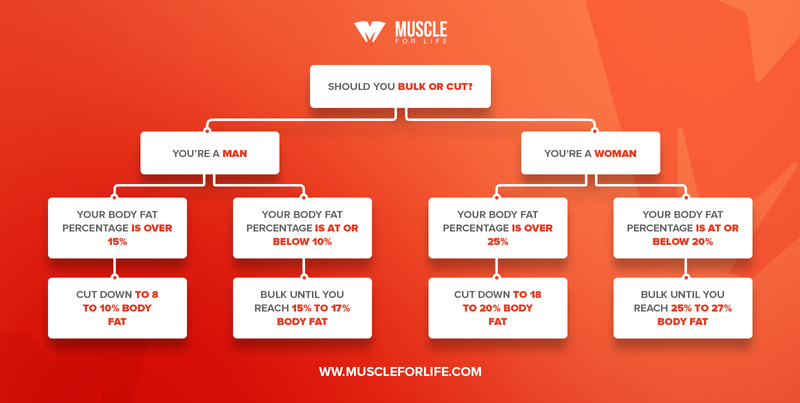 If you’re in the middle, however–if your body fat is in a normal range and you like the idea of having abs but also want to get bigger–then whether you should cut or bulk is dictated by your body fat percentage. You’re a man with more than 15% body fat. You’re a woman with more than 25% body fat. There are several reasons these guidelines work best for most people. Let’s face it: nobody likes feeling fat. We don’t have to walk around shredded year-round, of course, but hey, at least half of the reason why we stick to meal plans and bust our asses in the gym every day is to look good. Once you exceed those body fat thresholds (~15% for men and ~25% for women), you’re going to start feeling fat, and this can become demotivating. The bottom line is it’s much easier to stick to a diet and training regimen when you like what you see in the mirror every day. By never letting your body fat percentage go too high, you’ll never have to wonder why you’re working so hard to look like that. You know the two best ways to lose muscle mass during a cut? Make it last a long time. And that’s exactly what many people do when they have a lot of fat to lose–they impatiently starve themselves and have to go for many months due to the sheer amount of fat they need to eliminate. This can spell disaster for your body composition by burning significant amounts of muscle as well as fat, and the longer you cut, the more you’re going to have to deal with hunger, cravings, and lethargy. This is why many people have trouble cutting for more than 3 or 4 months before they flame out and lose themselves to guilt-induced bingeing. If you always keep your body fat at reasonable levels, though, your cuts will always be shorter and more manageable, both physically and psychologically. The fatter you are, the easier it is to get fatter and stay fat. There are several reasons for this. First, as body fat levels rise, insulin sensitivity drops. Insulin is a hormone that shuttles nutrients into cells, and as the body becomes resistant to its signals, natural fat burning decreases, the likelihood of weight gain increases, and protein synthesis (a process vital to muscle gain) is hindered. The bottom line is that the better your body responds to insulin (the more insulin sensitive it is), the better it can do many things, including building muscle and resisting fat gain, which are your two biggest goals goals when bulking. Second, as you get fatter, testosterone levels drop and estrogen levels rise. Testosterone is a primary hormonal driver of muscle growth and high levels of estrogen promote fat storage, so the downsides here are clear. As you can see, when you start a bulk with too much body fat, you’re setting yourself up for a major disappointment: you’ll probably gain too little muscle and too much fat, and then struggle to cut back to where you even started. All that is why I highly recommend that you cut first if you’re over 15/25% body fat and want to develop an outstanding, muscular physique. If you’re worried that you’ll feel too small if you were to cut now, I understand. I’ve been there myself. Take heart, though, because if you follow the advice in this article, you’ll eventually gain enough size to look lean and muscular year round. If you’re familiar with my writing, then you’ll know that I’m a proponent of losing fat as fast as possible when cutting (without being stupid, like starving yourself or doing endless amounts of cardio). My reasoning here is simple: by doing it this way, you can spend as little time cutting as possible (which is nice in and of itself), leaving you as much time for bulking (or maintaining) as possible. This makes your fitness journey more enjoyable generally and also allows you to reach your goal physique as quickly as possible. Now, most people talk about wanting to lose “weight,” but this should never be your goal. The easiest way to lose weight is to just “starve yourself skinny,” which certainly burns fat but also burns muscle, and that’s how you ruin your body composition. Let’s go over each step. When you do this, you’re in a “calorie deficit” because, well, your energy intake is falling short of your body’s needs. It must get that additional energy from somewhere, though, and its go-to is fat stores. When we’re talking body composition, protein is by far the most important macronutrient. Well, when you’re looking to lose fat, then you should eat about 1 to 1.2 grams per pound of body weight per day. 1. It burns quite a bit more fat in less time than traditional slow steady-state cardio. 2. It helps preserve muscle better than low-intensity cardio, mainly because you don’t have to do nearly as much to keep the needle moving. To be specific, just 2 to 4 relatively short (20 to 25-minute) HIIT workouts per week is all you need to significantly boost your fat loss when cutting. Want to know how to create HIIT workouts that really work? Check out this article. In fact, most supplements are completely worthless. In other words, if you can lose 1 pound of fat per week through training and diet (which you can), then you can lose 1.3 to 1.5 pounds of fat per week by adding the right supplements. 3 to 6 mg of caffeine per kilogram of bodyweight per day (which you can get from my pre-workout supplement PULSE). 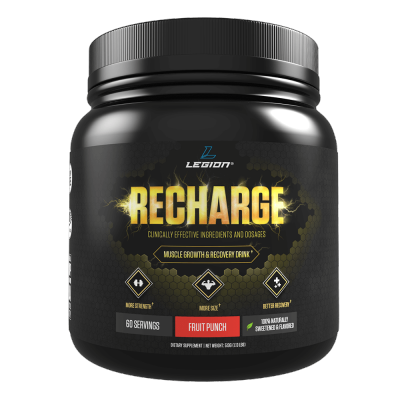 0.1 to 0.2 milligrams of yohimbine per kilogram of bodyweight before training (which you can get from my pre-workout fat burner FORGE). 1 to 2 servings of a natural, stimulant-free fat burner (like PHOENIX, which I designed specifically for this purpose). Want to know more about fat loss supplements that actually work? Check out this article. First, you should only bulk if you want to maximize muscle gain and you don’t mind gaining some fat. Yes, some people can gain muscle and lose fat the same time, but unless you’re new to weightlifting, you’re probably not one of them. Instead, you have to choose one or the other, and as proper bulking revolves around maintaining a slight caloric surplus, it entails gaining some body fat. There’s just no way around it. You’re a man at or below 10% body fat. You’re a woman at or below 20% body fat. There are several reasons for these guidelines. First, as we covered earlier, your body’s muscle-building machinery works best when you’re lean. Insulin sensitivity remains high, testosterone production remains strong, and estrogen levels remain normal. Thus, by never allowing yourself to get too fat, you can optimize muscle growth while bulking. Second, you gain fat slower when you’re lean. For many of the same reasons that you gain more muscle when you’re lean, you also gain less body fat. When your insulin sensitivity is higher, your body is primed to store more of your calories as muscle and glycogen, and less as body fat. Third, the leaner you are when you start bulking, the longer you can effectively bulk for. If you’re too fat when you start bulking, then you’re going to have to either cut it short or wind up way too fat in the end. Either way, this means less muscle growth than you want. Start your bulks lean, though, and you’ll be able to stay in a surplus for much longer before having to cut, and this means more time spent gaining quality muscle. You get to like how you look. You get to be healthier. You get to lose fat and not muscle quickly when you cut. You get to gain muscle and not fat quickly when you bulk. You may have heard that bulking is unnecessary or even counterproductive. If you really know what you’re doing, some people say, you can steadily gain muscle without adding even an ounce of body fat, regardless of your circumstances. On the other hand, others claim the opposite is true–that you have to “eat big to get big,” and even recommend rather extreme diets like the “gallon of milk a day diet” (yeah, that’s a thing). Well, both of these philosophies have it wrong. That said, you don’t have to pile on slabs of body fat just to gain a few pounds of muscle. When you know how to “lean bulk” correctly, you can gain muscle and fat at a 1:1 (or even slightly better) ratio. Take supplements that actually work. They may think they’re eating a lot of food every day, but when you actually analyze their weekly intake, it’s not all that impressive. Having worked with hundreds if not thousands of “hardgainers” over the years, I’ve seen this far too many times. While there has been the occasional guy who was actually eating 4,000+ calories every day and not gaining weight, it’s much more common to see average daily intakes around 2,500 to 3,000, which often isn’t enough for “high-metabolic” types and/or guys who are very physically active. They assume that if overeating by a little bit is better for gaining muscle, then eating everything in sight is much better. You can’t force your muscles to grow faster by drowning them in calories, because beyond a certain point, food stops fueling muscle growth and just makes you fatter. This is why a slight calorie surplus of 10 to 15% is just as conducive to muscle growth as a larger surplus of 30% or more. In other words, all you have to do to optimize muscle growth is eat 10 to 15% more calories than you burn every day (and get your macros right). This is the point of diminishing returns, where increasing your caloric intake further contributes less and less to muscle building and more and more to fat storage. Want to learn how to “lean bulk” the right way? Check out this article. Well, it’s quite a bit more than most people are used to eating, but still not quite as much as some people claim. Research shows that eating around 1 gram of protein per pound of body weight per day is ideal for muscle building purposes. This isn’t news to most fitness folk, though. At this point, there’s little debate on the importance of eating a high-protein diet, but carbs are another story. Low-carb diets are “the thing” these days, but the hype around them is undeserved because research shows that low-carb dieting doesn’t help you lose fat faster, and most definitely doesn’t help you gain muscle faster, either. 1. 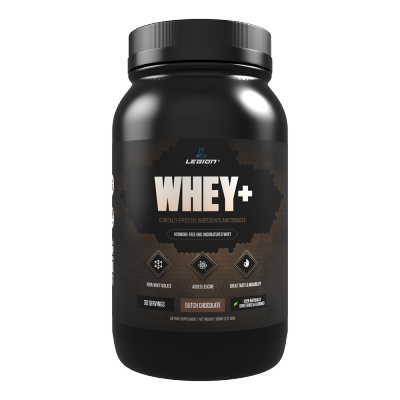 It increases whole-body glycogen levels, which helps improve workout performance and enhances genetic signaling related to muscle growth. 2. 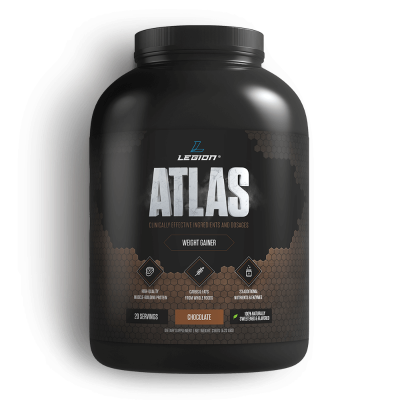 It keeps insulin levels generally higher, which lowers the rate of muscle breakdown and creates a more anabolic environment in the body. This is why multiple studies have shown that high-carb diets are better for gaining muscle and strength than low-carb ones. Want to learn how many carbs you should be eating and why? Check out this article. “I’m bulking, bro,” he says, as he sits down to eat a pile of candy and washes it down with a quart of chocolate milk. Don’t be that guy (or gal). Don’t let your lean bulk go “dirty.” It’s easy to loosen the reins when you’re not restricting calories to lose fat, but this is a mistake. If you want to get the most muscle (and least fat) out of your bulks, you want to regulate your calories and macros just as carefully as when you’re cutting. The reason for this is obvious: if your baseline diet already has you in a slight caloric surplus, you’re going to gain some fat. If you grossly exceed this baseline, you’re going to gain a lot of fat (and you now know why this is highly undesirable when bulking). You can develop vitamin and mineral deficiencies that can undermine your general health. Overconsumption of highly processed carbs is linked to an increased risk of chronic disease. Eating too many low-quality processed meats may increase your risk of cancer and other disease. Eating even small amounts of trans fats makes you more susceptible to heart disease, diabetes, infertility, and other unwanted health conditions. Extended periods of sloppy, uninhibited eating also can make it especially difficult to change your ways when it finally comes time to face the music and get rid of unwanted body fat. Here’s the rabid “IIFYMer” that tries to cut every month but simply can’t keep it together for more than a few weeks. 1. Get at least 80% of your calories from whole, nutritionally dense foods. This ensures your body will get everything it needs to stay healthy, while still leaving room for indulgences. 2. “Cheat” the right way. Don’t ruin your plans with bingeing. Learn how to cheat intelligently instead, and you can successfully incorporate “cheat meals” into your diet without serious repercussions. Want to learn more about “clean” vs. “dirty” bulking? Check out this article. That’s how important proper dieting is. If you do follow the above steps, though, the right workout program will make a huge difference in how quickly you can gain muscle and strength. Hands down, the best types of workout programs for natural lifters are those that focus on heavy compound exercises like the squat, deadlift, bench press, and military press. It’s true that you can gain strength and muscle in many different ways, but decades of scientific and anecdotal evidence have conclusively proven that this is the most effective approach for increasing whole-body muscularity. Want to learn how to create heavy compound weightlifting workouts that work? Check out this article. In fact, most supplements for building muscle and losing fat are worthless. 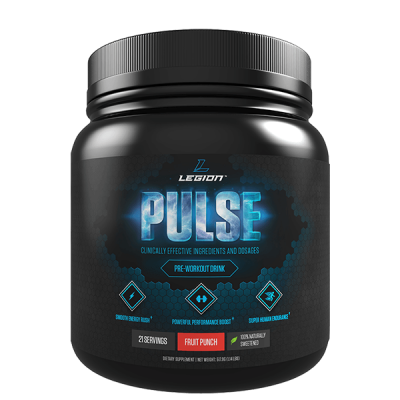 So, if you want to feel focused, tireless, and powerful in your workouts…and if you want to say goodbye to the pre-workout jitters, upset stomachs, and crashes for good… then you want to try PULSE today. Cutting and bulking properly is the most effective way to gain significant amounts of muscle over time. Unfortunately, “body recomposition” just doesn’t work once your “newbie gains” have been exhausted. To get the physique you really want, you’re going to have to learn how to cut and bulk, and know when to do which. If you’re currently unhappy with your body fat percentage and you really just want to get lean before worrying about gaining significant amounts of muscle. You’re a man with 15+% body fat. You’re a woman with 25+% body fat. Using an aggressive (but not reckless) calorie deficit. Doing a lot of heavy compound weightlifting. Using high-intensity interval training to burn fat faster. Taking fat loss supplements that actually work. Eating slightly more calories than you burn. Eating a high-protein and high-carb diet. Taking supplements that actually work. If you do all that, then you’ll have no trouble transforming your physique. It may take a bit longer than you want (scratch that, it will, haha), but stick to the plan and you’ll get there.